The fifth edition of the Diagnostic and Statistical Manual of Mental Disorders (DSM-5) was unveiled at the annual American Psychiatric Association (APA) meeting in San Francisco this past May. After nearly a decade of multi-level scientific, clinical, and public-health review, the new guidelines are ready for immediate use by the APA and in your own clinical practice. The original DSM was published in 1952, with a fourth revision in 1994, and a text revision in 2000. To incorporate new research and advances in knowledge since the last revision, the APA recruited a task force and various study groups consisting of top researchers and clinicians worldwide. The new guidelines became eligible for application in May 2013. The complete transition is slated for December 31, 2013, allowing for delays as insurance companies update claim forms and reporting diagnoses and codes. DSM-5 is compatible with the World Health Organization’s International Classification of Diseases, Ninth Revision, Clinical Modification (ICD-9-CM) codes for immediate use. Transition to using the ICD-10-CM is currently set for Oct. 1, 2014. The transition to ICD-10-CM is required by the Health Insurance Portability Accountability Act. 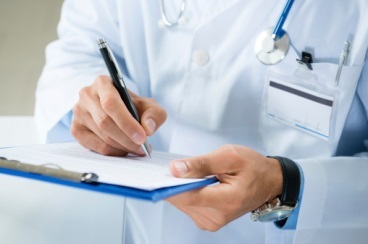 To accommodate differing DSM-5 and ICD-10-CM disorder names, the DSM diagnosis should always be documented in medical records in addition to the ICD code. National board examinations generally take two to three years to incorporate new guidelines. How concerned are you about the possibility of overmedicaton caused by changes in diagnostic criteria in DSM-5? DSM-5 has been restructured to consist of three sections in addition to the Preface, Classification of Coding, and Appendix. The new manual has removed the multiaxial organization (Axes I-V) of disorders by combining the first three DSM-IV-TR axes into a single developmental list. The nonaxial documentation includes all mental and personality disorders, including intellectual disability, with separate scales for measuring symptom severity and disability. The noteworthy changes address the name of disorders, enhance criteria to align all providers in accurately assessing patients, and identify the impact a diagnosis has on daily functioning. The brief review of the new three-part structure outlined below contains some of the key changes in DSM-5 that may impact your clinical practice. The introductory section of the new volume outlines the changes in the order that they appear. The previous multiaxial structure is now divided into topics with subtopics. The nonaxial documentation for diagnosis will combine the former Axes I, II, and III, with separate notations for psychosocial and contextual factors (formerly Axis IV) and disability (formerly Axis V). Intellectual disability. The federal law (Rosa’s Law) signed by President Obama on October 5, 2010, replaced the term “mental retardation” with “intellectual disability.” DSM-5 will adopt this diagnostic term to align with the rest of the medical, educational, and advocacy communities. The intelligence quotient (IQ) will no longer be used as diagnostic criteria but is still recommended for assessment. Intellectual disability is suggested for individuals with an IQ score of approximately 70 or below (two standard deviations below the population). Severity can be specified as mild, moderate, severe, or profound. Severity is determined by adaptive functioning rather than cognitive capacity (i.e., IQ). The new criteria will allow variation in symptoms and behaviors between individuals. Placing a patient on a spectrum rather than providing an individual diagnosis prevents inconsistency between clinicians and reduces the risk of misdiagnosis. DSM-5 requires symptoms to be present from early childhood even if ASD is not assessed or diagnosed until later in life. A recent study found that 91% of children diagnosed with ASD using DSM-5 criteria were also diagnosed with one of the four DSM-IV autism related disorders.1 This study shows that most children will retain a diagnosis of ASD when converting to the new guidelines. Attention deficit hyperactivity disorder (ADHD). The DSM-5 criteria divide the 18 diagnostic symptoms from DSM-IV into inattention and hyperactivity. Key changes include: the addition of examples to aid in identifying the disorder across the lifespan; symptoms are now required to be present before age 12 years rather than age 7 years; a diagnosis of both ADHD and ASD is now permitted; the symptom threshold for ADHD in adults has been lowered to five symptoms (six for those younger); and ADHD is now listed as a neurodevelopmental disorder rather than a disruptive disorder. Specific learning disorder. All previous learning disorders are now combined into a single diagnosis, which acknowledges the fact that academic deficits commonly occur together. A coding specifier can be added to designate deficits in reading, mathematics, written expression, and learning disorder not otherwise specified. Catatonia. This diagnosis now requires three out of 12 catatonic symptoms for all contexts. Diagnosis can be made separately or as a specifier for bipolar, psychotic, or depressive disorders.